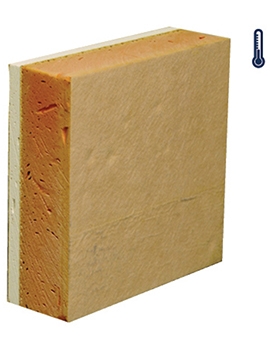 ThermaLine is a range of insulated Plasterboards that feature a layer of thermal insulating material, offering a high quality wall finish and an efficient thermal lining that can be installed in one simple operation. Manufactured by British Gypsum, ThermaLine range of products gives you a choice of thermal performance boards to suit your insulation needs as well as your budget. Thermal laminates are also easy to upgrade without filling of cavities or external cladding. ThermaLine thermal laminates give excellent insulation, vapour control and are aesthetically pleasing as well. Every board serves as first-class decorating and plastering surface. 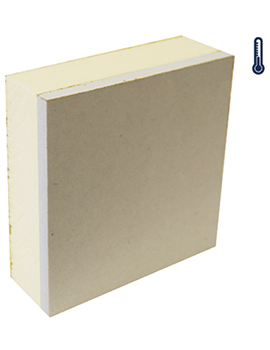 The Gyproc plasterboard and thermal laminates are manufactured for enhanced performance in applications relating to fire, acoustics, thermal, moisture and impact resistance. Can be used upper floor and ground floor partitions in homes with timber frames or masonry homes, and on separating walls. And also for lining and insulation of in top and middle floor ceilings. 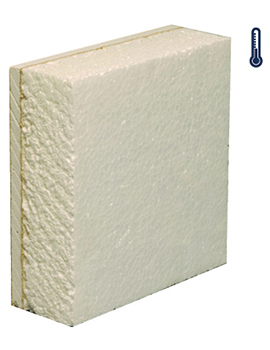 Especially made for use in both refurbishment and new build for ceilings, walls, and reveals that require basic thermal insulation. Designed for use in new build or renovations for ceilings, walls and reveals that make it necessary to have a medium level of thermal insulation. 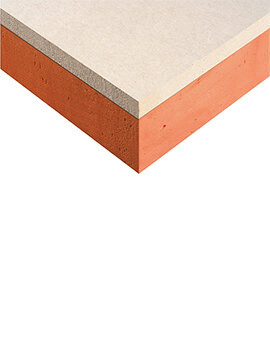 Super grade is made for use in walls, ceilings where a high level of thermal insulation is required to reduce heat loss from buildings and comply with BBA regulations. The Gyproc ThermaLine range is suitable for new buildings and for upgrading existing buildings when increased thermal performance is required. 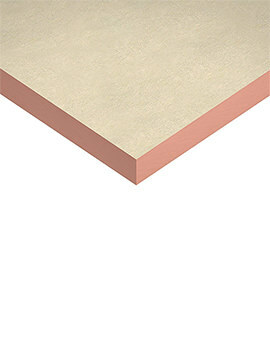 These laminates are ideal for upgrading solid walls, where the highest performing Gyproc ThermaLine will achieve 'U-values as low as 0.35W/m2K, these are also commonly used in combination with injected cavity insulation to upgrading 'U-values in old double brick or high-density block cavity walls. Gyproc ThermaLine laminates have a quick response to space heating. The heat is retained inside the room, and not absorbed by the dense masonry walls, which ensures quicker warm-up and a more comfortable living environment. It is an insulator made from extruded polystyrene which is CFC and HCFC free. ThermaLine laminates are directly fixed to the wall using Gyproc Sealant, Gyproc Drywall Adhesive or the GypLyner metal frame wall lining system, in the case of major background irregularities. This quick-fit stud and frame system accommodates background irregularities up to 125mm, and creates a cavity, that can be used for services, or filled with mineral wool insulation for further improved thermal or acoustic performance.